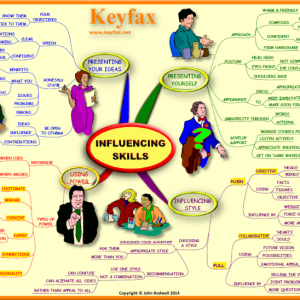 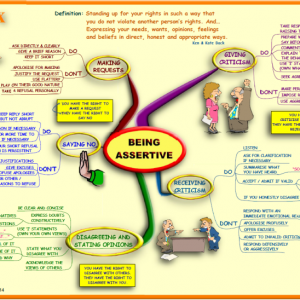 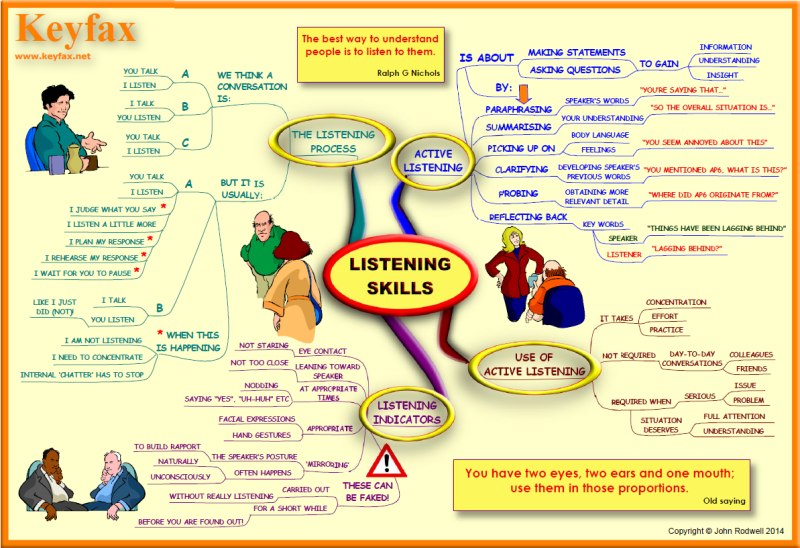 A Mind Map that shows how to listen effectively and actively. This Mind Map shows you the difference between listening ‘indicators’ and ‘active listening’ – and how you use them both effectively. 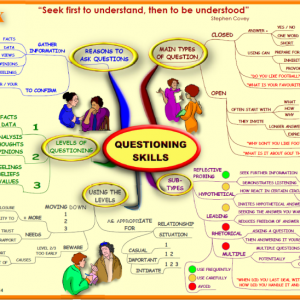 One of the ‘active’ parts of listening is questioning, so this Mind Map, and the Questioning Skills Mind Map can assist you in this area. 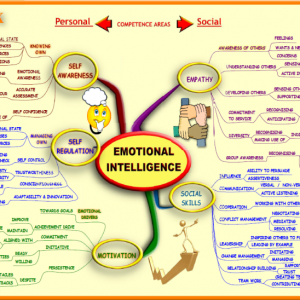 This Mind Map also shows what happens when we think we are listening – but actually we are not!